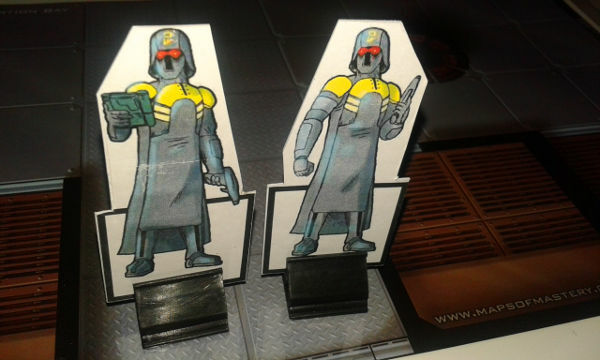 All the way from Star Wars: The Clone Wars are the Coruscant Security Force personnel stationed deep in the underworld sectors and here are some paper miniatures if you want to play one, or have a whole squad as backup (or as opposition). Or you can use them in your role-playing games to represent law enforcement anywhere in the galaxy. Click here to download from Google Drive.